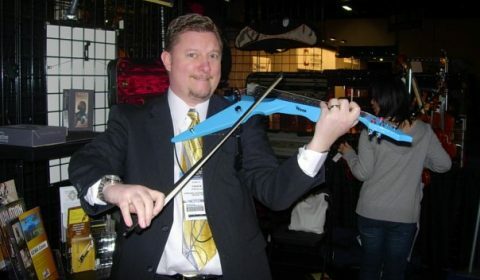 Electric Violin vs. Acoustic – What’s the Difference? Every popular these days is the electric violin. Most of my students (especially the girls), come to me every day and say they want to play like Lindsay Stirling. 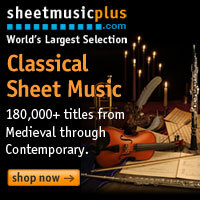 As a pretentious classical music elitist, I immediately throw up in my mouth a little. Then I think hey, if she helps little girls (or fellas) want to play the violin, then she’s doing a good thing. That brings me to the subject at hand. What’s the difference between an acoustic violin and an electric one? Read below for all the details. You’ll be surprised at what you didn’t already know! A traditional acoustic violin makes sound by amplifying the vibrations of the bowed string (or plucked). The vibrations are captured by the bridge and the sound waves are then pushed out through the sound holes and into the air. In layman’s terms, the bow makes a piece of wood vibrate and those vibrations are amplified by a box with two holes in it. Simple enough. Obviously, you’ll achieve a better sound by having better materials and craftsmanship. A violin made from plastic will sound pretty bad. A violin made from plywood might sound better, but not by much. The best violins are made from spruce and are painstakingly handcrafted down to the millimeter. The interior of the ‘box’ is carved to different thicknesses in different spots (called graduations). There is a sound post and a bass bar that also help produce the beautiful tones you hear from a violin. Some people use a regular violin, but add a pickup to it. Then you plug the violin into an amp and jam out. This is what I do, but I don’t play jazz very often, and I rarely need amplification. If you’re going to play a lot of electric violin, you’ll need a dedicated one. Most pickups are fairly low profile but some can really make your instrument look robotic. The one thing I like about this rig is, I can hear myself because the violin is just a regular violin. Sound comes out when I play it, unlike a truly electric instrument like a guitar or violin that makes virtually no sound unless it’s plugged in. The electric violin has none of the above craftsmanship. It doesn’t need it. An electric instrument is amplified by a pickup attached somewhere near where the sound is produced. In the case of an electric violin, that place is the bridge. The ‘box’ and sound holes are not necessary at all. Most truly electric instruments (guitar, violin, etc.) do not have a hollow body with holes like their acoustic counterparts. Because they don’t need these features, the body shape can be as wild as the imagination. Because the electric version doesn’t have a hollow body, no sound comes out when you play it. Most electric players use headphones so they can hear themselves which is important. Always use a monitor or earbuds or some way you can hear what’s going on. Otherwise, there is chaos. When it comes to the rest of the stuff you need to play the violin, there are some differences in accessories as well. Since an electric violin doesn’t benefit from a hollow body and overtones (a fancy word for unheard notes within a pitch), you don’t need to buy expensive strings. You should buy decent ones, but the best $100 synthetic gut strings will sound no different than $30 steel ones. Same goes for the bow. You don’t need a $50,000 Tourte bow to play an electric when a $200 carbon fiber one will do just fine. You gain nothing with a more expensive or better bow. Take all that money you saved on strings and a bow and invest it in your cables and wires. Those will actually make your electric rig sound better or worse. So now you know the real difference between a traditional acoustic violin and an electric one. If you think you may want to go the electric route, do yourself a favor and shop around. Also, if you decide you need a pickup for your existing violin, you should buy a second, inexpensive violin and then add the pickup to it. The best pickups (in terms of quality of sound) are not “easy on/easy off” accessories. It all depends on what you think you’ll use the electric violin for, but just like an acoustic one, don’t buy one that you’re not 100% in love with.